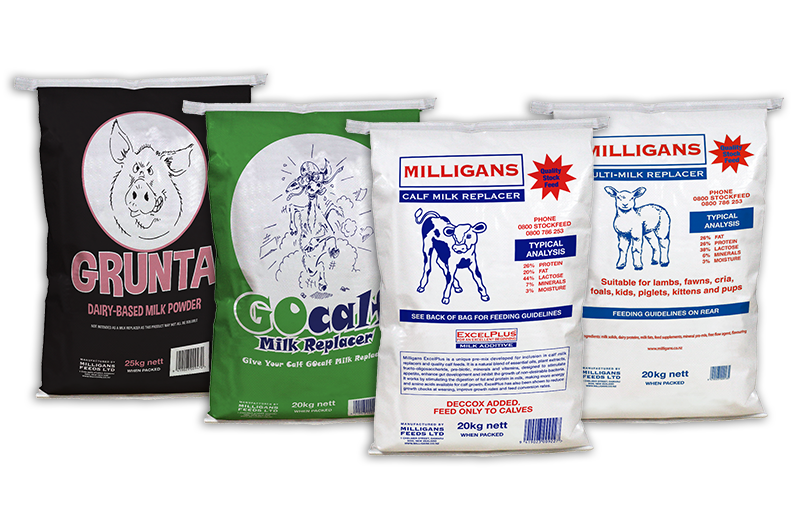 Don’t forget to check out our range of Calf Milk Replacers as well as our range of Grain Based Feeds! For information on prices for over 1 tonne fill in our Price Request form! Mixing Instructions: Sprinkle 200g of Milligans Lamb/Multi Milk Replacer on to 1 litre of clean warm water (40-45°C), stirring briskly as the powder is added. Continue stirring until the powder is completely dissolved. 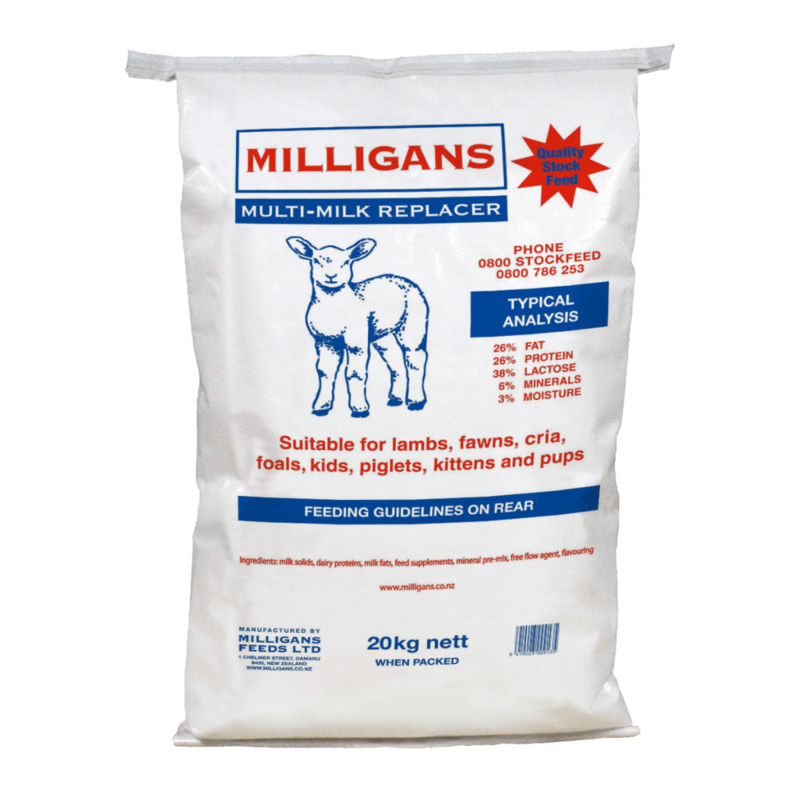 Goat kids: add only 125g of Milligans Multi Milk Replacer to 1 litre of warm water and feed at a temperature slightly above blood heat, approx 40°C. Fallow deer fawns require only half the amount per feed stated below. The following feeding rates table is a guideline only. Please use your common sense when feeding animals. 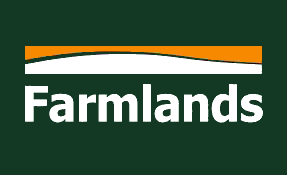 If you are unsure whether this feed is suitable for your intended use, or the quantities to use, please get advice from your retailer, vet or an informed source before use. To maintain the quality and freshness of this feed, and to avoid contamination, the packaging should be folded down or zip-locked. Store in a cool, dry place, out of direct light. All utensils and containers used in feed preparation and feeding must be kept hygienically clean.New born animals should be fed colostrum for the first four days of their lives. Provide good shelter and access to clean water at all times. Good quality hay and/or pasture, should be made available to young ruminants. 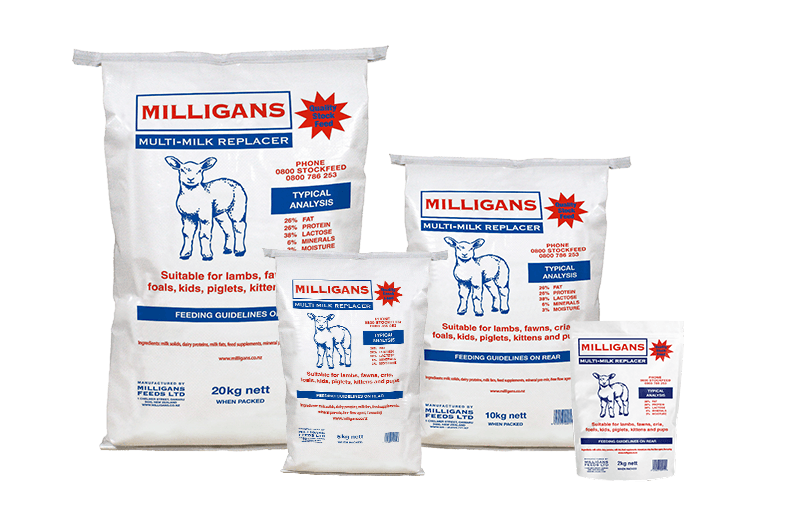 Introduce Milligans Premium Sheep Nuts to lambs at three weeks of age. All feed changes should be gradual. Overfeeding can cause digestive disorders. Refresh your mind about the importance of Lamb Health. 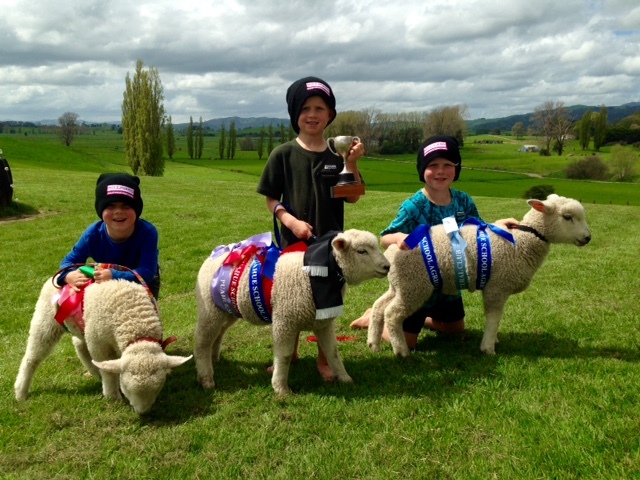 Once your lambs are healthy and under way it may be time for some solids! Check out our range of Grain Based Feeds for your next step. 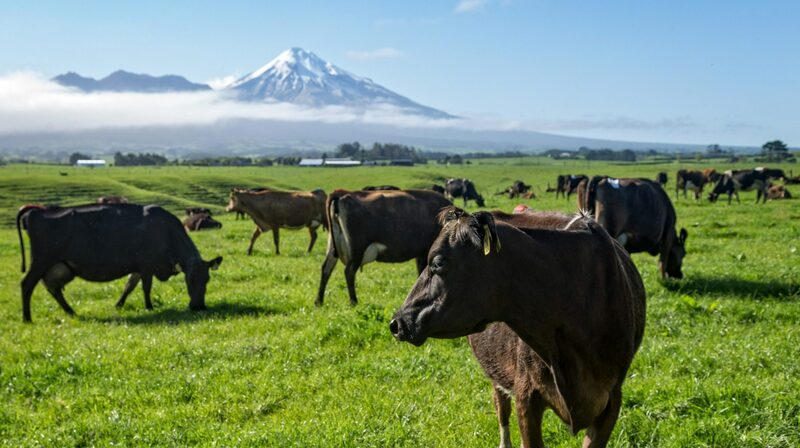 Do you require a Once A Day or Twice A Day feeding system for your calves?